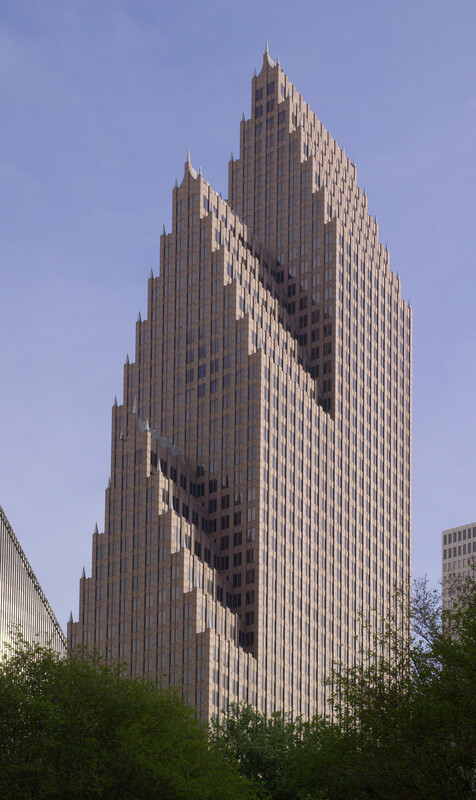 HOUSTON – (Realty News Report) – The Houston office of Madison Marquette announced it has negotiated 95,883 SF of lease transactions at Bank of America Center, a 56-story tower located at 700 Louisiana in downtown Houston. Kilpatrick Townsend & Stockton LLP, an international law firm, signed a new lease for 17,519 SF. CBRE’s Doug Elliott and Ron McWherter represented Kilpatrick Townsend & Stockton LLP. Weil, Gotshal & Manges LLP, an international law firm, renewed its lease for 21,375 SF JLL’s John Burke represented Weil, Gotshal & Manges LLP. Schiffer Hicks & Johnson PLLC, a Houston-based litigation firm, renewed its 6,248-SF lease and expanded into an additional 4,627 SF of space. CBRE’s Jon Lee represented Schiffer Hicks & Johnson PLLC. Carlson Capital, LP, an asset management firm, renewed its lease for 8,774 SF . Cushman & Wakefield’s Angus Hughes represented Carlson Capital, LP. BMO Capital Markets Corp, a North American financial services provider, renewed its 30,275-SF lease and expanded into an additional 7,065 square feet of space. JLL’s David Bale and Eugene Terry represented BMO Capital Markets Corp.
“This landmark building continues to maintain its presence as a top tier option for office space in downtown Houston, and the prestigious tenant base of energy infrastructure, global law firms, private equity firms and financial services groups recognize the value of this distinguished address,” said Spafford, Executive Vice President and Director of Leasing for Madison Marquette. The 1.2 million SF building, 700 Louisiana, was developed by Hines and designed by Philip Johnson and John Burgee. Bank of America will be moving out of the building this summer to occupy a new downtown tower developed by Skanska. The building was hailed in architectural circles at the time as one of the first significant examples of Post Modern architecture in downtown Houston. Recognized by Business Insider as the state’s most beautiful building, the Class A trophy office tower encompasses 1.25 million SF of office and retail space, and is linked to the extensive Downtown Houston tunnel system. Phase I of a $20 million renovation is currently underway that will add an 8,000-SF white-table cloth dining establishment on the northwest corner of the lobby, and 10,000 SF of creative office space featuring views onto Jones Plaza. Phase II of the project will include a new tenant lounge and conference center, a lobby coffee bar and new mezzanine level collaborative workspaces under the dramatic cathedral ceilings. “The recent activity with the new, renewing and expanding tenant base reinforces the elevated status of the property among the downtown submarket, and the renovations and improvements currently underway will enhance our ability to serve businesses wanting a premier office location in the amenity-rich Theatre District area in Downtown Houston,” says Ken Moczulski, CEO of M-M Properties. Moczulski’s plan included the re-opening and redevelopment of the old Western Union building which was encased behind granite walls when the office tower was completed in 1983. Over time, few remembered that Western Union had been there. Today’s rebirth of the Western Union space opens up over 35,000 SF for redevelopment and spaces such as the white-table cloth restaurant. When the building opened, it was known as Republic Bank Center.